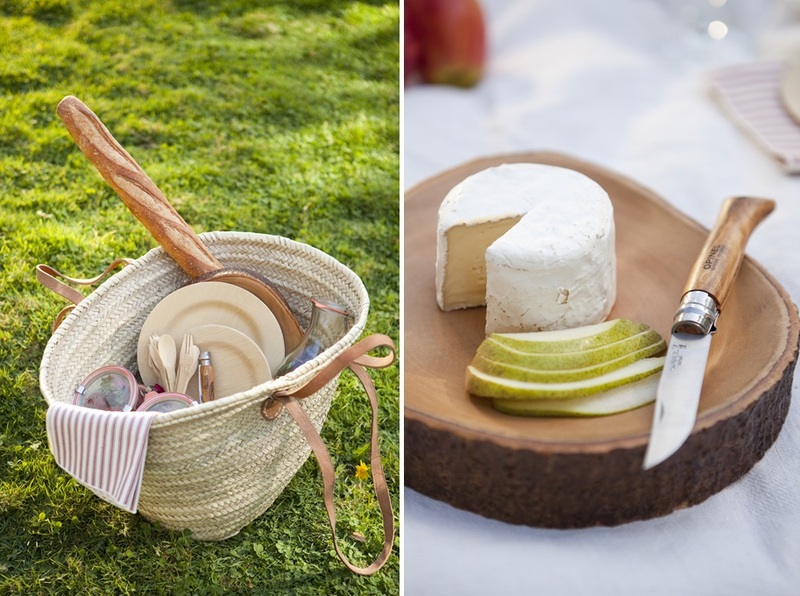 Loving these picnic accessories from Acme Party Box! A little inspiration just in time for Canada Day OR the 4th of July, depending where you are! I personally am heading out on the water tomorrow with some friends - we'll be grabbing some icecream and cuddling up with a blanket to watch the fireworks, floating in the bay! I also plan to tackle some serious DIY's around the house with my rare and treasured 3-day weekend!! I have a special event I'm planning, which will be very fun to decorate for, and I've got some painting to do. Our kitchen cabinets are begging to become a gorgeous shade of white, and I'm planning a bedroom makeover too! What are your plans for the holiday weekend? 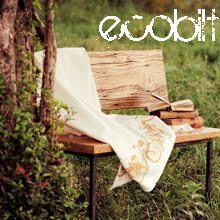 ACME Party Box’s philosophy of throwing chic, sustainable parties extends beyond birthdays and showers. Their picnic basket includes everything you need for an eco-friendly picnic – Weck carafes and storage jars, bamboo cutlery and tableware, a mango wood cheese board, picnic knife, cloth napkins, and your choice of wine glasses or Mason drinking jars with straws, all reusable or compostable and all packaged in a large tote. 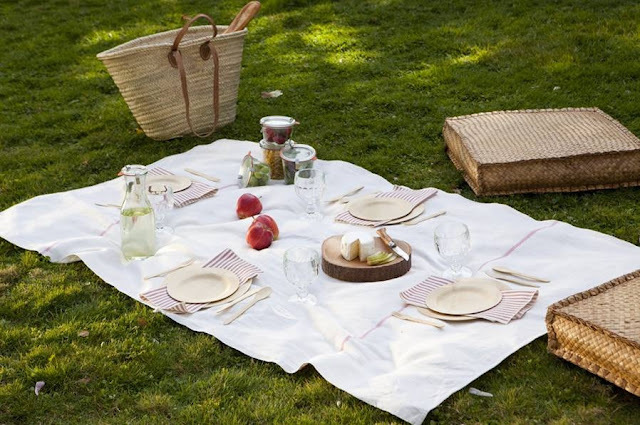 The only thing missing are some sandwiches and a sunny spot to enjoy them! 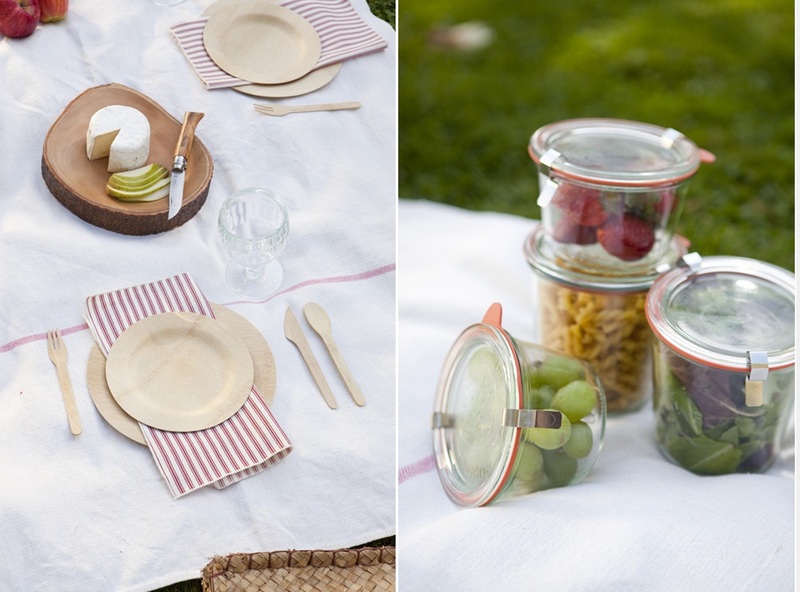 Thanks for sharing this eco-friendly picnic accessories. It is very important that we take care of the environment when we travel and make sure to leave only foot marks and no waste. Marie Veronique Organic's Promo & Giveaway! Inspired Living - Busy Bee Candle Co.